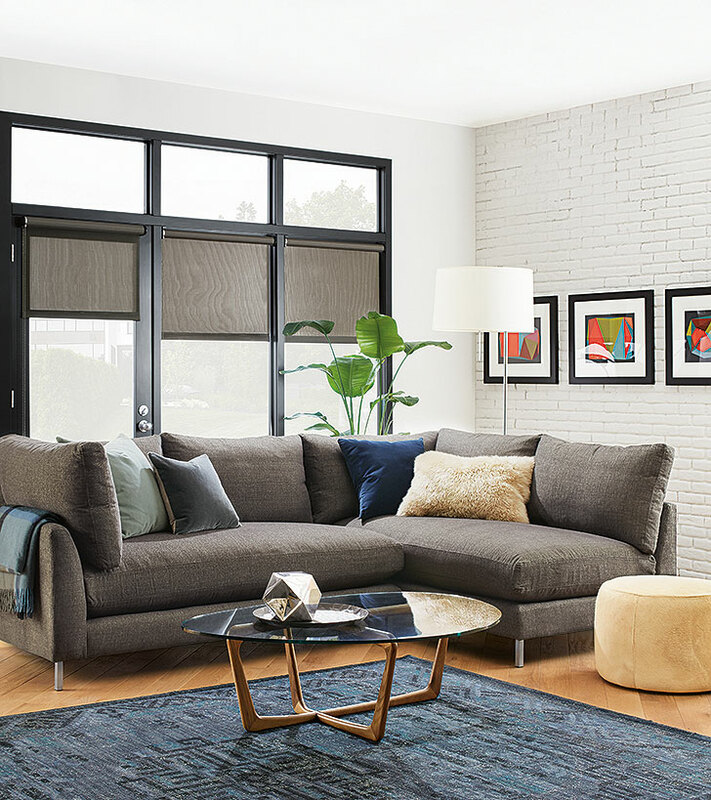 If you’re looking for a soft, luxurious sectional to collapse onto at the end of a long day, Bryce is it. But you don’t have to only take our word for it–100% of the customers who wrote a review for this sectional would recommend it to a friend. Here are just a few of the reasons to love our Bryce sectional. 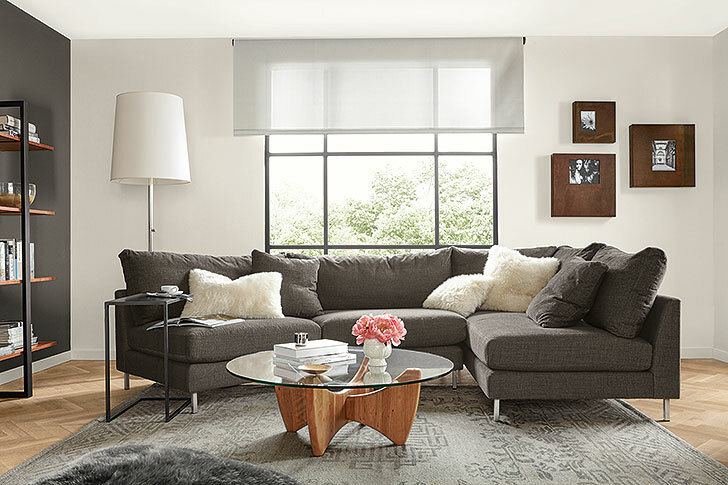 The Bryce sectional‘s down-filled cushions feel like a cloud. The seats have encased spring coils wrapped in down, for sink-in comfort that’s still supportive. The back cushions are a blend of fiber and down, so they feel similar to a down pillow for your bed. Warning: you may confuse this sectional for your bed and doze off! Bryce wins the award for deepest seat. The seat cushions are a whopping 26 inches deep, and when you sink into the plush back cushions they feels even deeper. The advantage of a deep seat is it naturally encourages you to lean back and relax, plus there’s plenty of space to tuck your legs onto the seat. In other words, you don’t sit on it—you sit in it. In the best way. We love that Bryce is soft and super comfortable, but doesn’t look frumpy. The sleek stainless steel legs keep it from looking heavy and unique angled and armless sectional pieces make it decidedly modern. There are several different sectional sizes to choose from, or you can design your own configuration using our online sectional designer. Not into sectionals? Don’t worry. There’s a Bryce sofa, too.